Practicing good oral health is not as simple as some may think. While brushing, flossing and rinsing regularly are all necessary for good oral health, there are some things that your regular home dental routine can’t do. It’s for those reasons (as well as many others) that having regular check ups and cleanings done are incredibly beneficial to you. 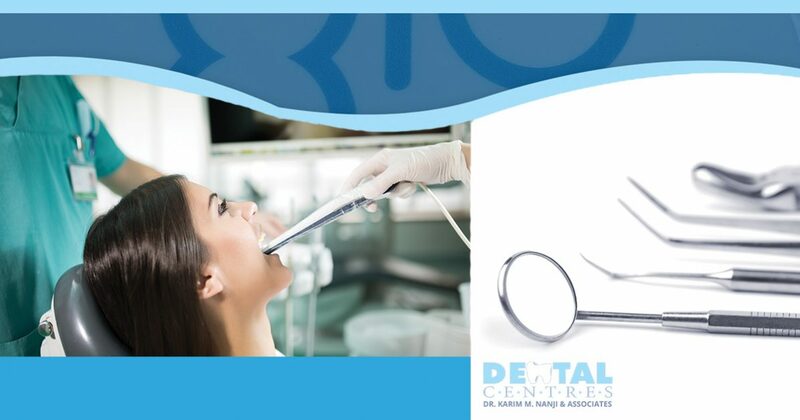 At The Dental Centre, we offer regular checkups and cleanings at all of our locations in the greater Toronto area. It’s important to brush, floss and rinse regularly, and doing so will ensure that you’re doing everything that you possibly can to maintain healthy teeth and gums. Simply relying on your home dental routine isn’t enough, however, and having routine check ups and cleanings from your dentist will benefit you in a variety of ways. Routine cleanings employ the skill and knowledge of a professional, allowing them to clean some of the more difficult stains that your teeth may endure over the course of a few months. Routine checkups are also designed to monitor the development of new teeth, check for any sort of damage or decay, and make sure that there are no other dental issues that may need to be addressed. We offer regular dental check ups and cleanings at all of our Dental Centre locations in the greater Toronto area. Whether you’re looking to have a checkup done at our North Port (Port Perry) location, a cleaning at our Sunderland office, or both at our office in Stouffville, The Dental Centre aims to be your go-to Toronto dentist office for regular checkups, cleanings, as well as other more involved services like dental implants, wisdom teeth extraction and more. To set up your next appointment or address any other questions or concerns, contact us today using the form below. We look forward to hearing from you!